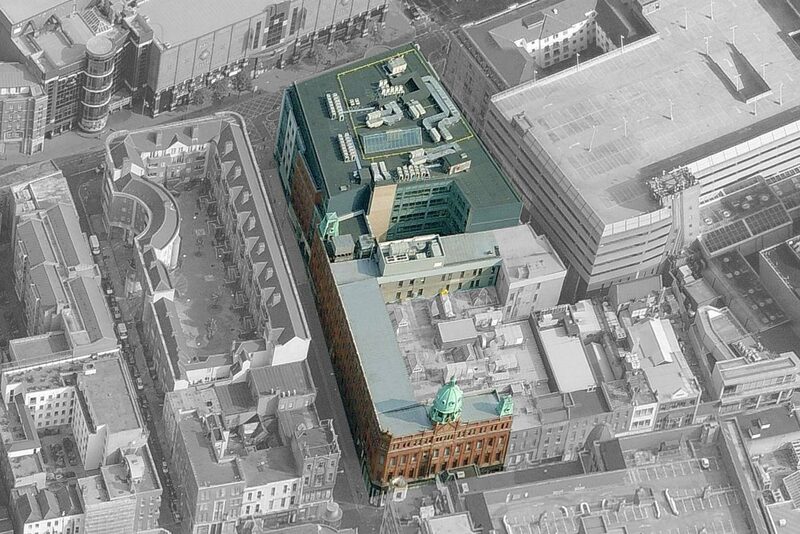 The project represents a major architectural feat which has involved connecting two existing buildings. 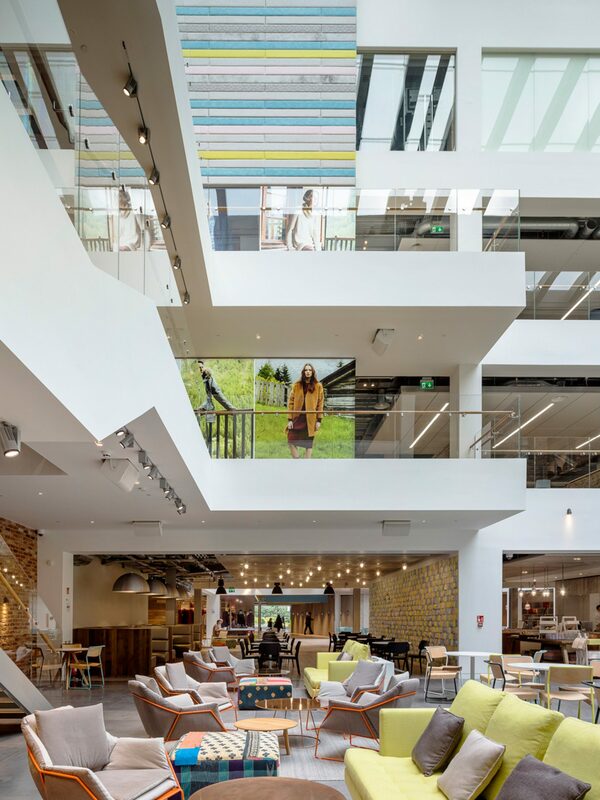 The properties, which span 125,000 sq ft, comprise a 20th century listed building and a modern property constructed in 2002. 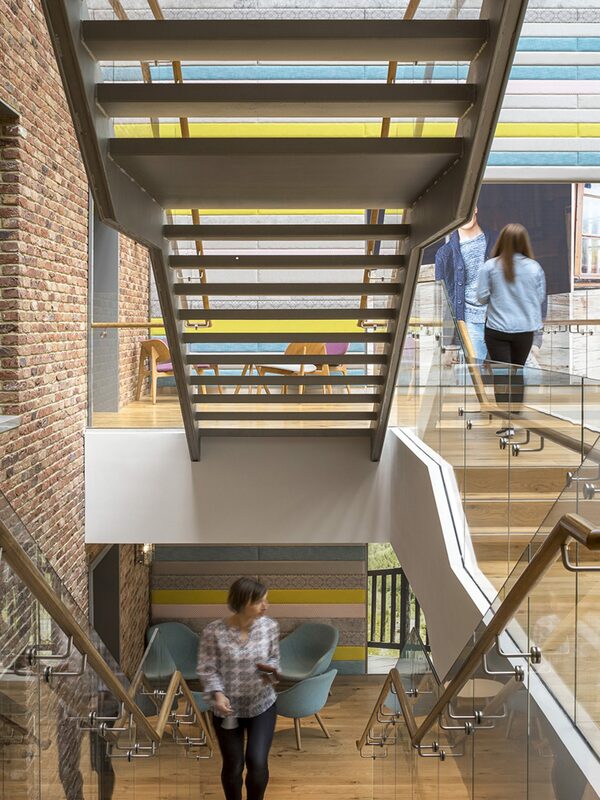 A 13 metre long bridge now links the two together and overlooks a communal central atrium which sits at the core of the new office. 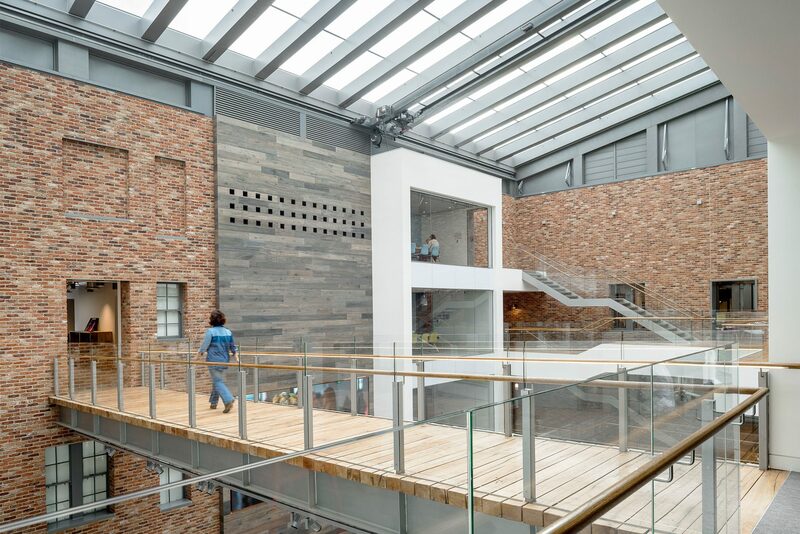 The central atrium has repurposed a previously redundant exterior courtyard. 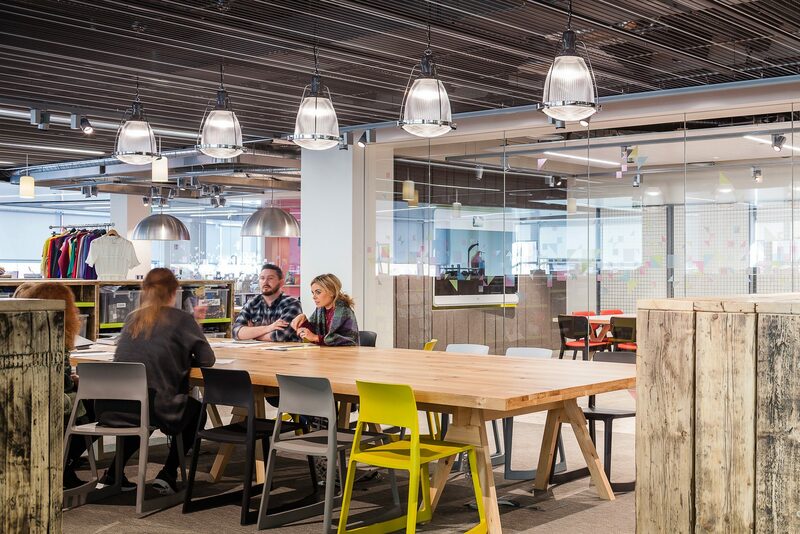 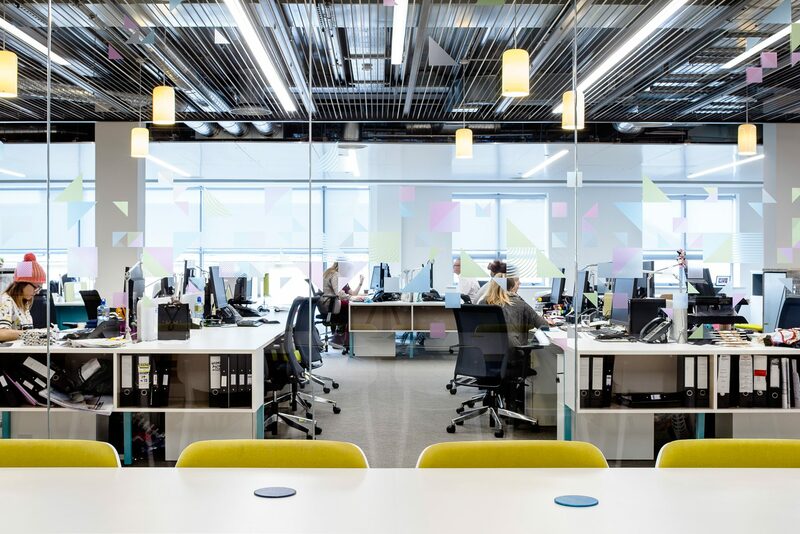 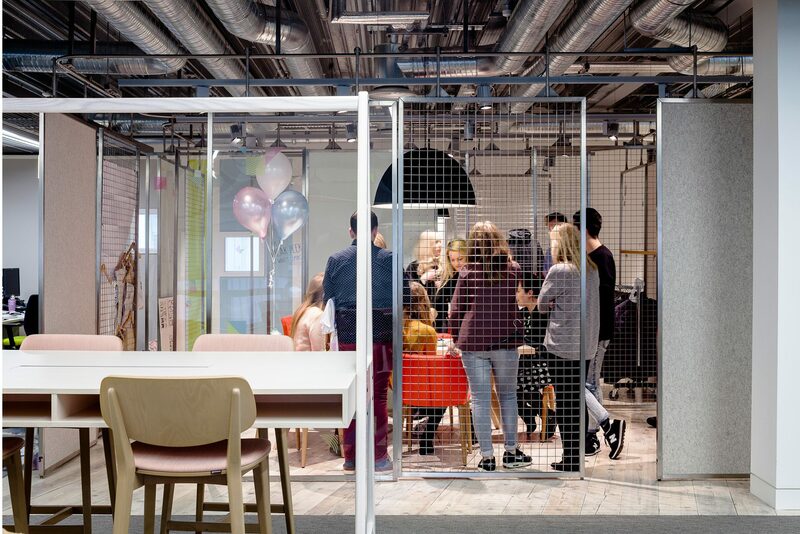 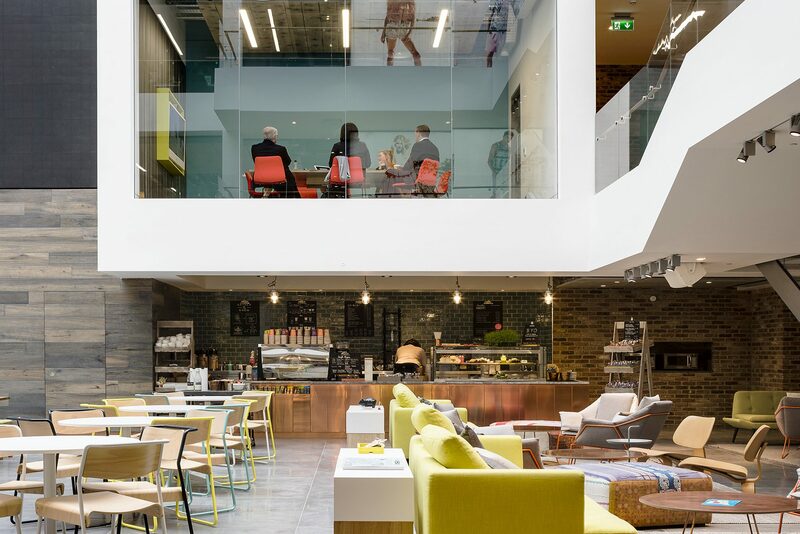 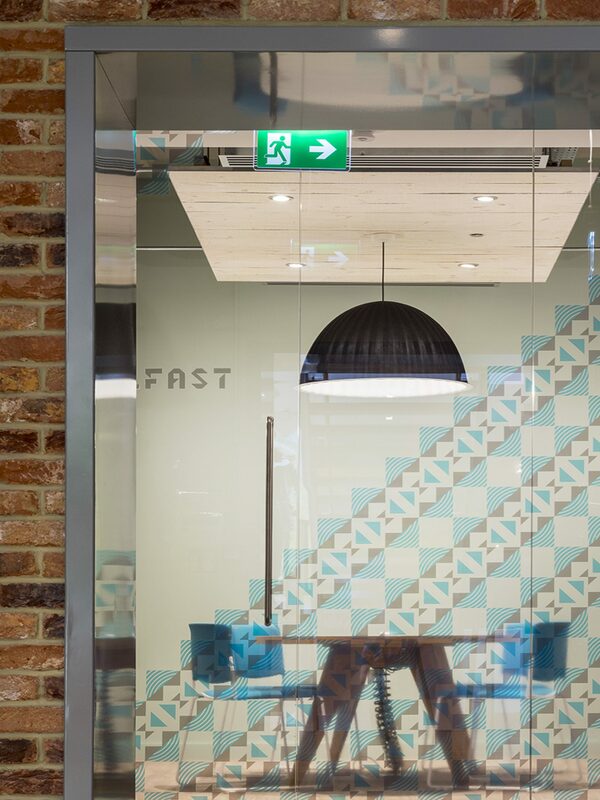 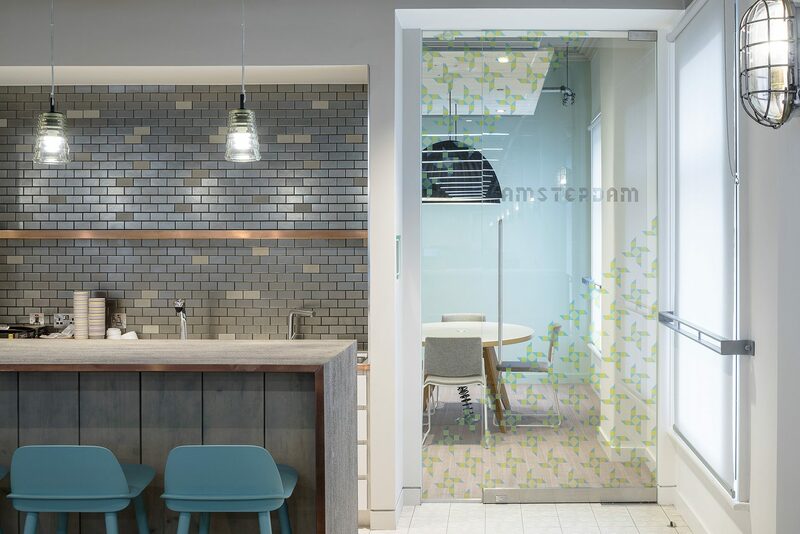 In a move that marks a major transition for the retail brand, MoreySmith has transformed the existing workspace into a modern and innovative working environment housing Primark’s 600+-strong workforce in the heart of Dublin’s shopping district. 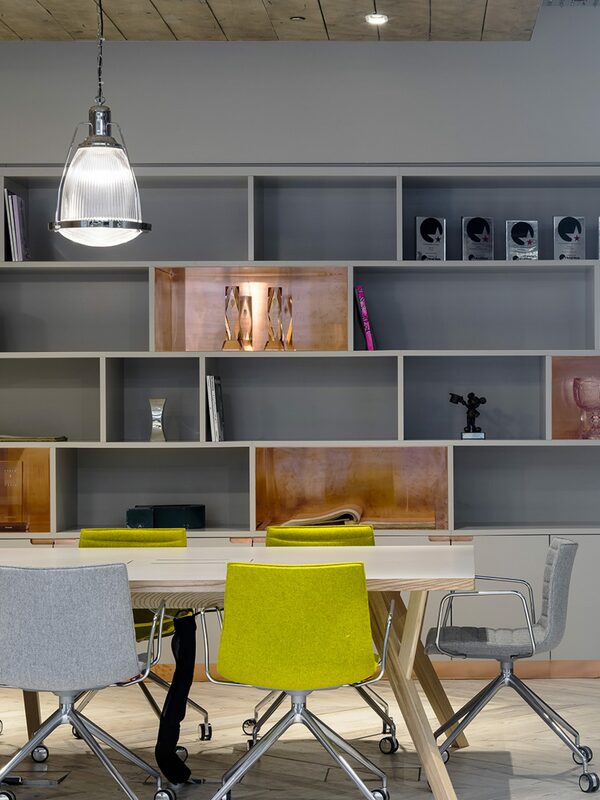 The workspaces are varied by design, providing warm, ambient working environments that suit different working styles and needs. 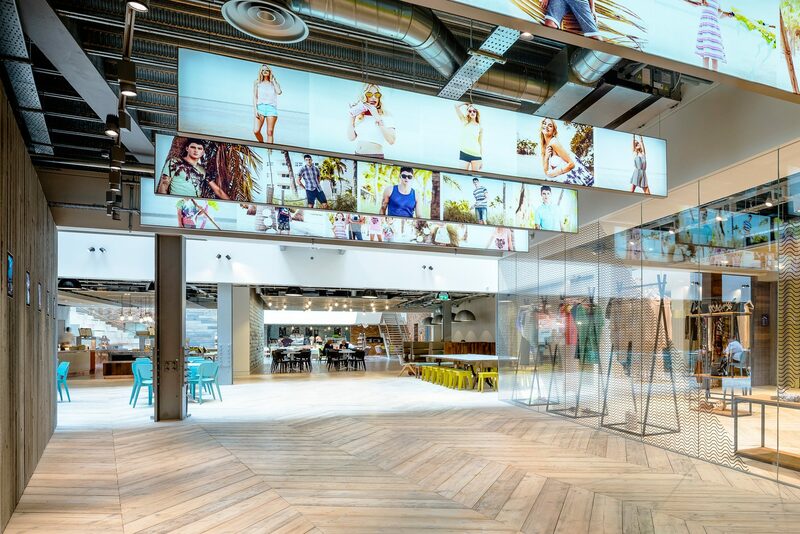 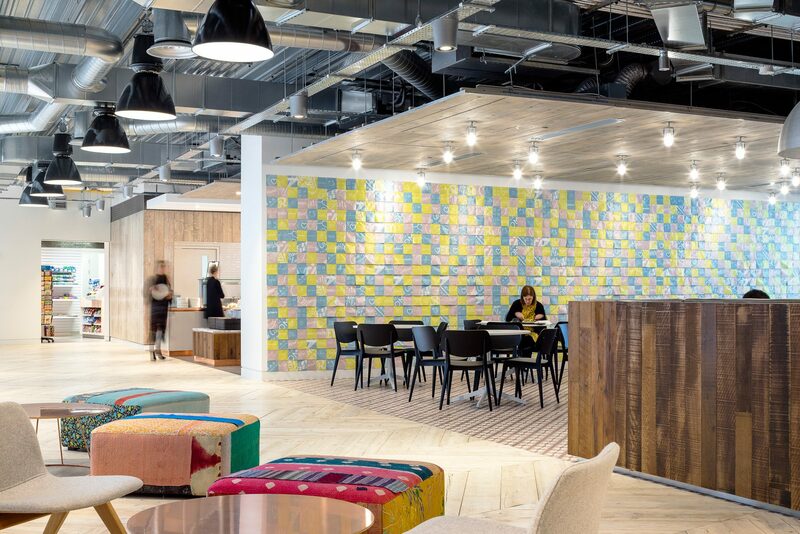 Integral to Primark’s brief was to introduce a totally open plan and varied working environment to encourage collaboration and integration. 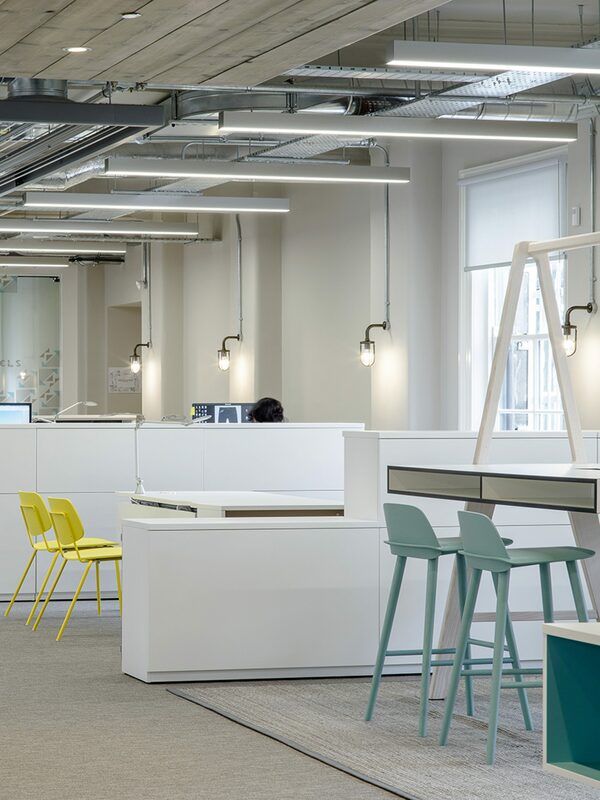 Additional bridges create a sense of movement, with employees able to move freely between work areas. 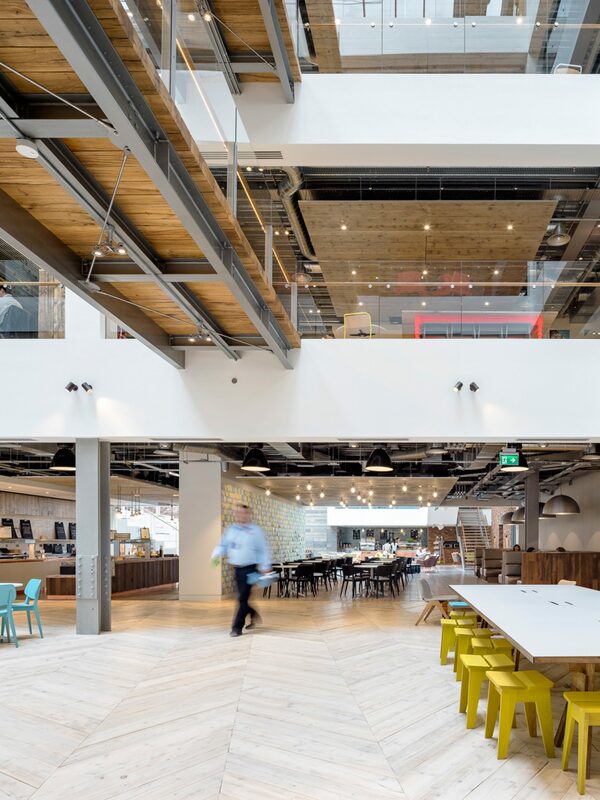 Natural daylight floods through from the glass roof above, bringing light directly into the four floors of office space below. 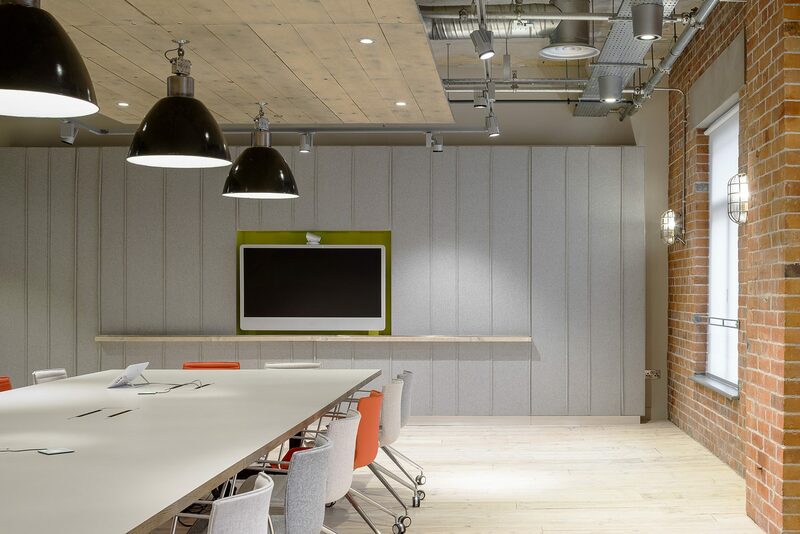 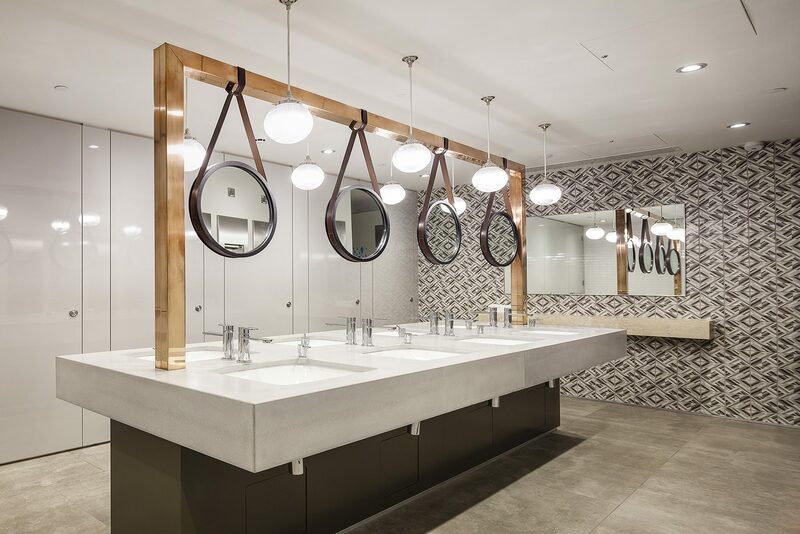 The project includes a communal area that sees a reception with a separate business lounge, a large café and coffee bar, design studios, a press and PR Office, a photographic studio, auditorium, and exercise studio with showers and changing facilities.